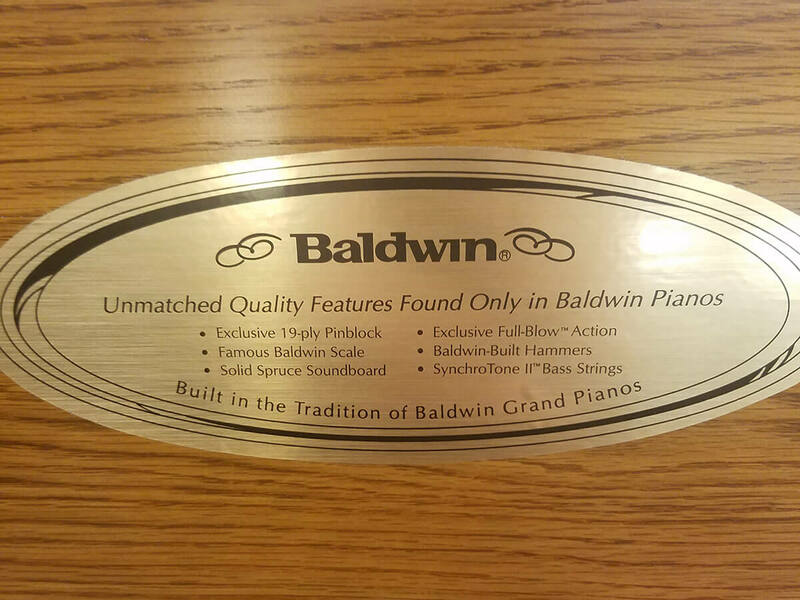 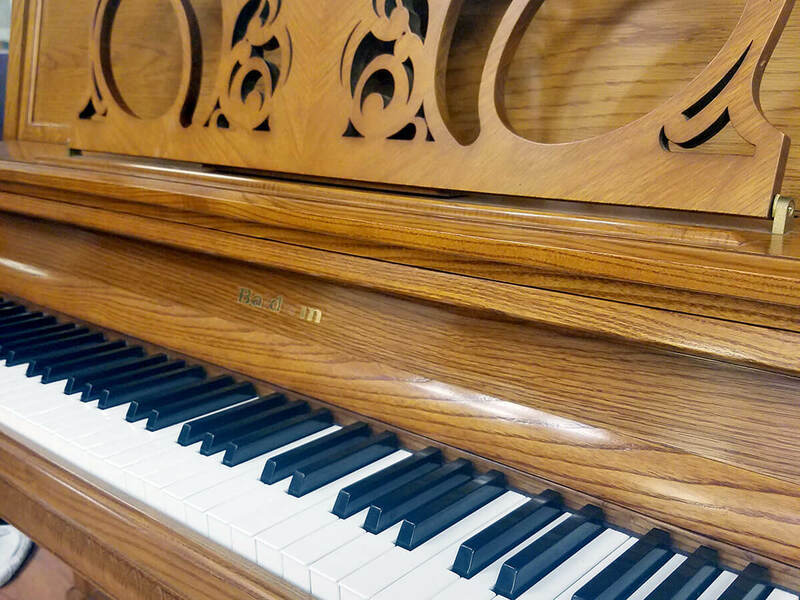 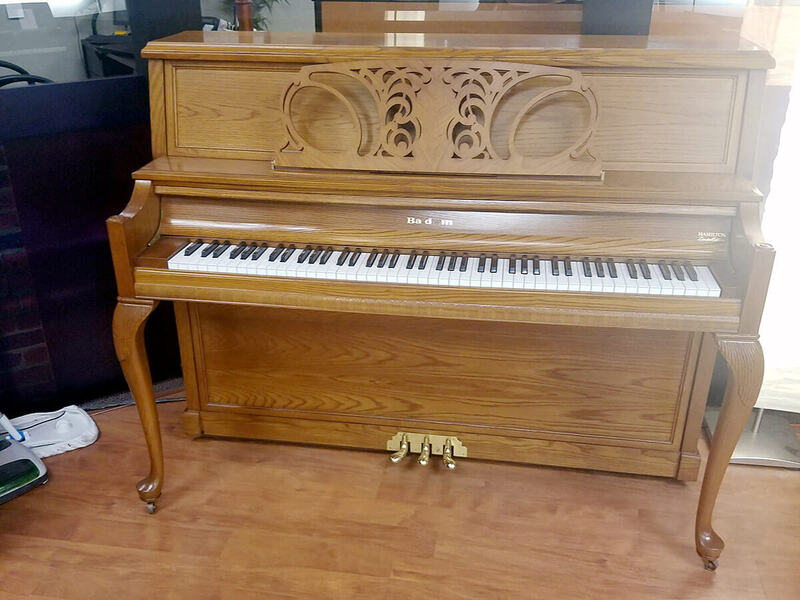 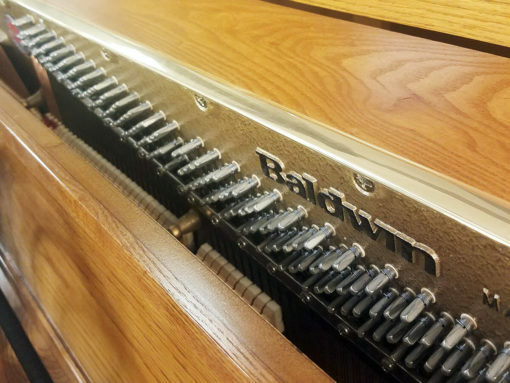 This Baldwin console was made in Ohio in 1997, and has plenty of high quality features that make it an excellent home instrument. Impressive furniture details, cabinet is in good shape, and touch and tone are extremely pleasant. Priced at $2995, includes a matching bench.